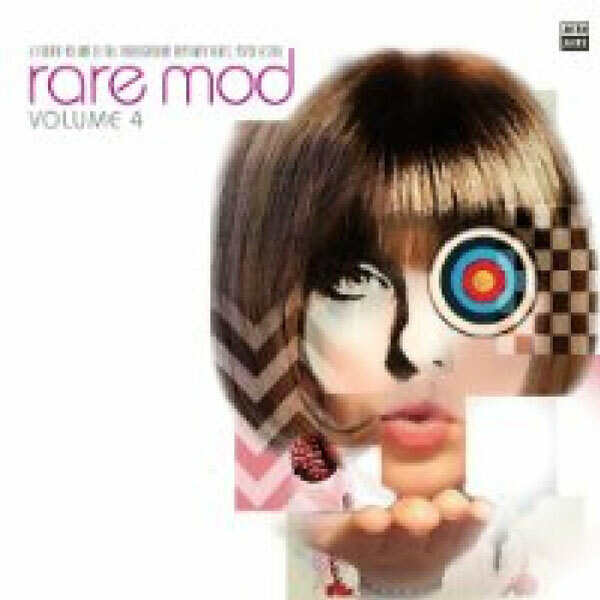 Eddie Piller and the team at Acid Jazz bring us volume 4 in the ‘Rare Mod’ series, and what a corker it is. Compiled by Damian Jones and Richard Searle, this CD features 16 slabs of Underground Rhythm ‘n’ Blues, Psych & Soul. Starting with a storming version of ‘Big Bird’, this recording comes from Dog Soul, a band made up by members of The Artwoods, The Kinks and Dog Soldier and has a great horn section. Next up is the excellent ‘Tell Daddy’ by the All Night Workers, a Mod Soul outfit from West London very much in the vein of the Alan Bown Set. The legendary Gary Farr & The T-Bones then give us ‘Together Forever’, a track recorded in late 1966 and intended to be their fourth single – unfortunately they split up and the song remained unreleased. The Unknown Mod Girl gives a great performance of Mel Torme’s ‘Coming Home Baby’ before The Mountain Men’s ‘Too Many People Around’ – the sole A-side from this band from South Wales. Syd’s Crowd, a band from 1966/67 of which very little is known, contribute ‘Times Are Good Babe’ and ‘Road Runner’ to this compilation, both of which are really good. Of the many highlights of this collection is the inclusion of a long lost recordings from bands like The Perfumed Garden from Liverpool who performed many times at the legendary Cavern Club Liverpool. Cover Girl a song they originally recorded in 1968 at Cam studios Liverpool then rejected, has now been resurrected for posterity and included in this collection of gems. Others include The Artwoods – one of my favourite bands. ‘Hoochie Coochie Man’, the R ‘n’ B classic which was Art Wood’s favourite track, was recorded in 1964, although it is not known if it was intended as an A-side or for a radio session. Either way, it’s worth the admission price alone. The best track on the entire album, in my opinion, is the Hammond saturated ‘Hey Gyp’ from The Unknown Mod Band – that’s right, Acid Jazz really have no idea who recorded this track. With further contributions from Row Boat, The Wild Ones, Virgin Sleep and Tomorrow’s Children this collection is right up my street – mid to late 60s sounding Mod bands playing hard edged R ‘n’ B and Soul with a bit of a Freakbeat vibe thrown in for good measure. Well worth checking out.